Bran discard any pretensions they had of being a folk group and go full on rock. Interesting album that includes their parody of punk in "Scync Roc". My favourite Bran album, not a classic by any means, but it's got something that draws me back to playing it of an occasion. 6 allan o ddeg. 6/10. 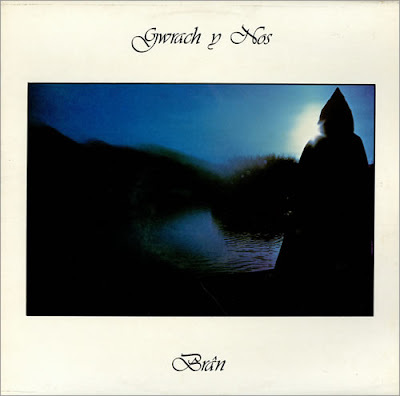 Is this the very same Bran of Ail-Ddechra album? I can't believe it's the same band?? Unfortunately, the download link for this one is broken. Would you mind sharing it once more? Could you provide a new download for this as not available anywhere else!